470 Squadron recruits on a 3 month cycle to allow us to form training flights of new cadets. 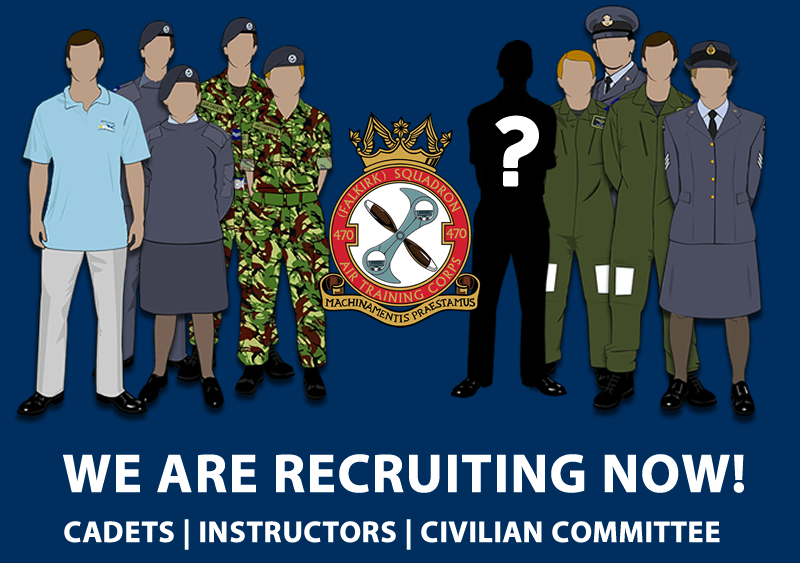 If you are interested in joining the Squadron please complete the form and we will invite you down to the Headquarters for a visit and secure you a place on our next intake. If you decide to join the Squadron these details will be stored securely for the duration of your career within the RAF Air Cadets. If you decide to not join we will keep the details on file for 12 months before they are destroyed.